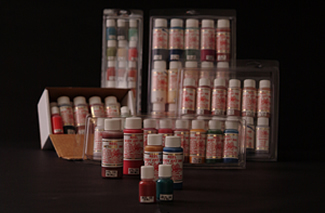 REEL BODY ART KIT (Commercial) is used for applying multiple tattoos. It is especially popular for school proms when they lock the doors until 6:00 in the morning - just break the kit out and start tattooing and you will create hours of fun and entertainment. This kit is also a very popular money maker at church or school fairs, bizarres, parties, random places where allowed and anywhere your imagination takes you. Included are 8ea 1/2 oz. bottles of spectrum colors, instructions, brush and developer. There area also 6 REEL Transfer Sheets I-97 thru VI-97 (6 Sheets = 250 tattoo transfers).